Great stick down panels made from CGIS for Low Light and no shadding issues. Shading just stops production of the shaded area rather than affecting more of the panel or array like with Crystaline panels. These are ideal for boats, easy to install, durable. These panels wont be broken by being be walked on but care should be taken in order not to scratch them if you are walking on them. eFlex combines flexibility, lightweight and performance into a solar module that only Flisom can build. 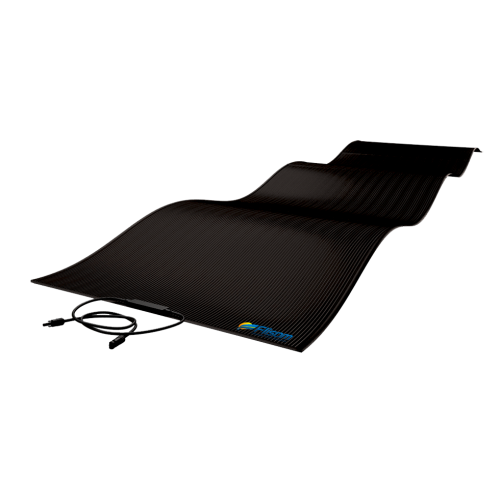 Our fully flexible solar panel is ready for direct integration on all kind of surfaces.